I’m not ready to think about summer yet, and the good news is I don’t have to plan all that much because my daughter goes to school for most of the summer, but it’s always a good idea to have some activities on hand for those times when kids aren’t in school. 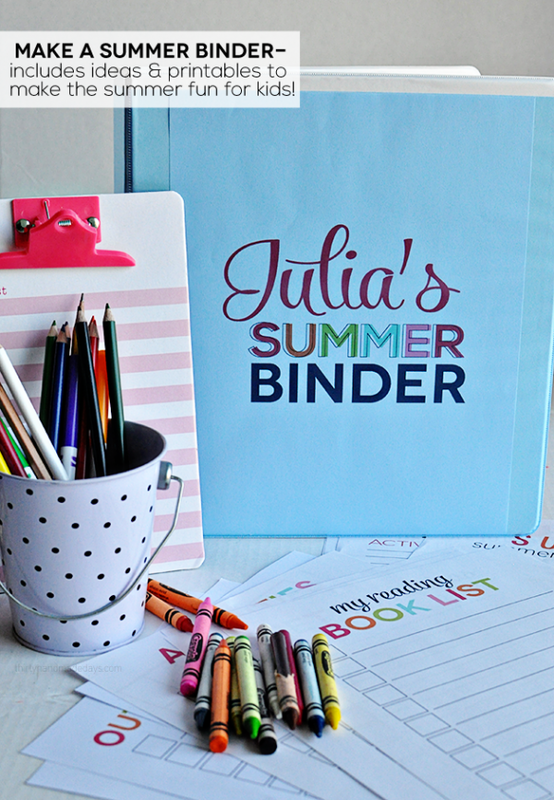 This printable summer activity binder from Thirty Handmade Days is a great way to get started collecting things for your kids to do during the summer. It has pages for lists of things like activities the kids want to do and books they want to read, a summer reading log, links to places you can find worksheets, a printable letter template where little kids can draw instead of write, and more. Even if you don’t use all of these sheets, there’s some good stuff here to get you started thinking about what you might like to do this summer and how to fill the “I’m bored” space before you even hear those words. Wouldn’t that be nice?